History is full of the stories about those who had too much and met their demise seemingly as a result of that. All the power, money, fame and love they desired manifested any yet, was the ruin of them. How can it be fair that what you want destroys you? Would it not make more sense for your desires to embolden you? The responsibility and weight of getting what we want can come as a surprise. In the desire for more and pursuit of it, we forget to take time to make space, build the capacity to not only receive but hold and expand upon what is coming. When imagining your dream during your prayers and meditations remember to request the strength handle all that could possibly come your way. The good and the not so good, for as you grow the issues you will be faced with will too. The resistance you will experience will surprise you and it will require greater power from you to not be discouraged by it. Be careful what you wish for, should not be taken as a phrase to dissuade you but rather advice to be specific. Ask for what you want and in the asking request to be guided to ways you can best prepare for your forthcoming good. 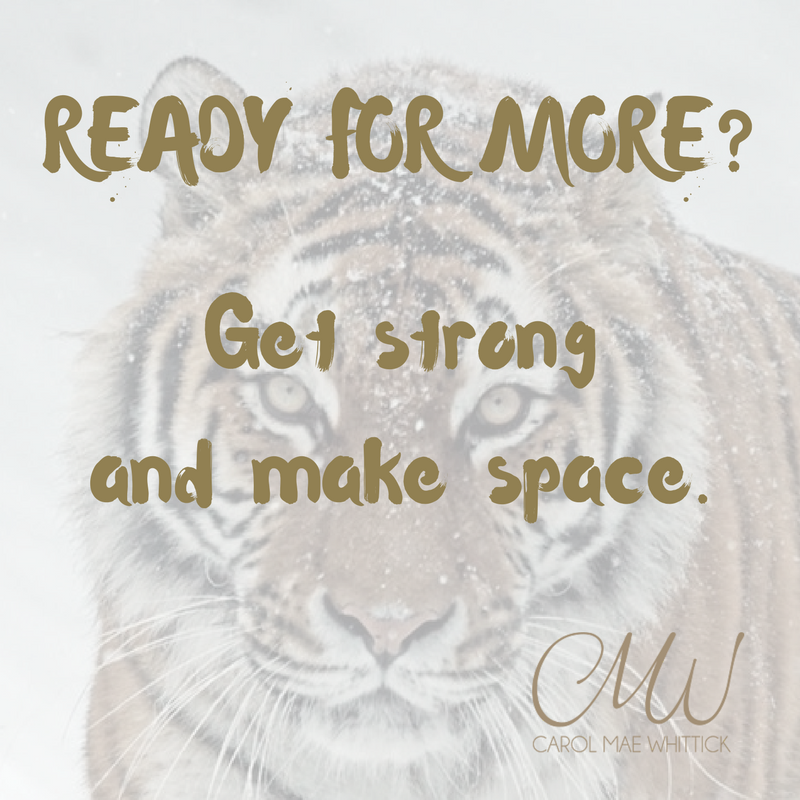 Get strong and make space.